I’ve heard the world “normal” creep into my every day conversations more recently. What is “normal” anyway? 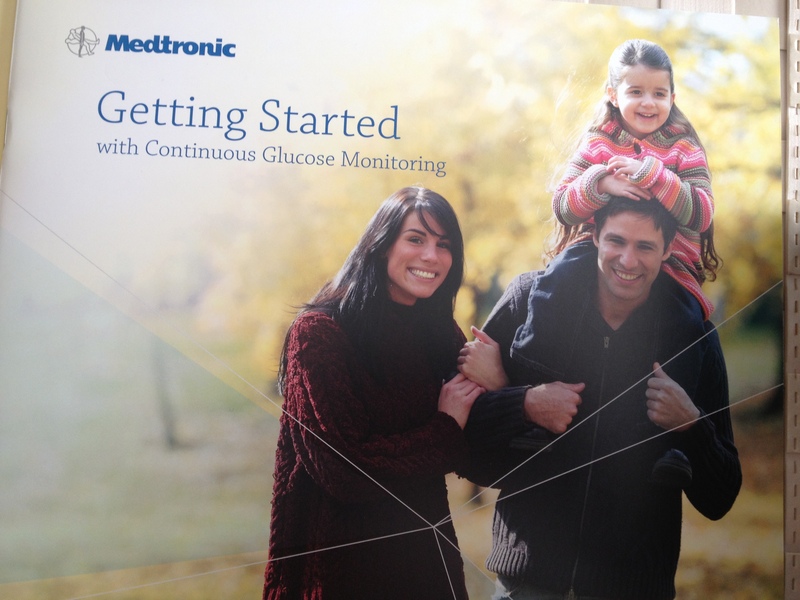 I like looking at stock photography on diabetes products to figure out what normal should be for me. 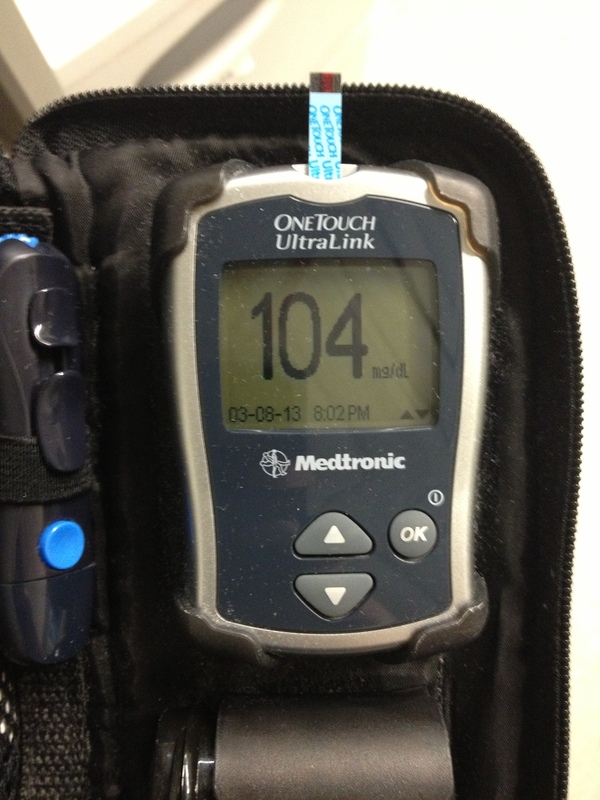 Perhaps it’s the perfect blood sugar found on just about every One Touch meter box. We’re all familiar with that one right? Trying to catch that famous reading is like trying to catch a butterfly on speed. Somehow, I snagged it. It’s here for all to admire. However, 104 is actually a high fasting reading. So is this really normal? Or a fancy way of saying you should be averaging this? 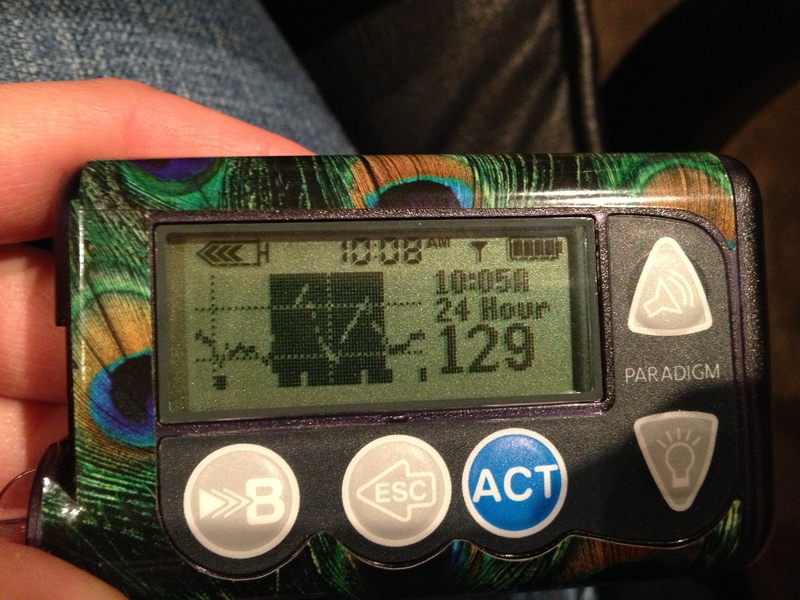 Or take a look at the collateral I got with my CGM. My personal favorite stock image is on my sensor box. This is probably a more accurate depiction of my normal. Okay, maybe it’s not all numbers, data, and prescriptions. I still have this. Not all of us will be able to enjoy that carrot cake without some sort of repercussion. (Though, if you enjoy eating it, by all means.) 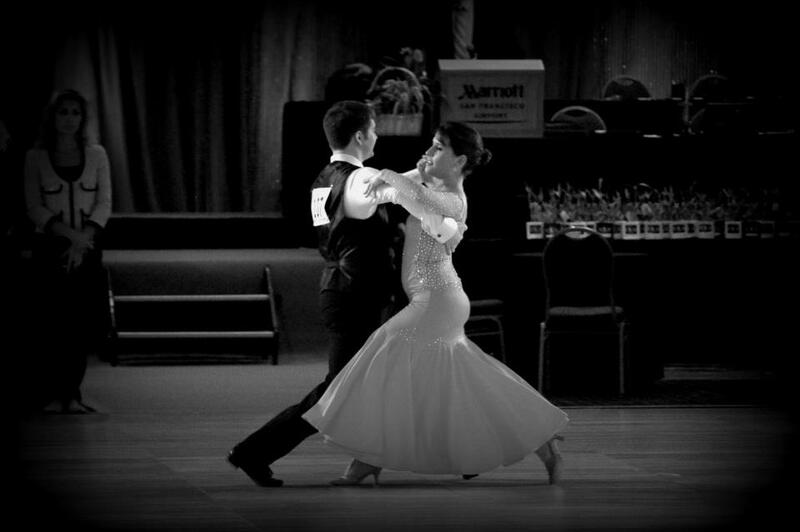 Not all of us will dance around in rhinestones and spandex either. My insulin issues, disdain for carrot cake and my obsession for glitter are what make my reality. The tricky part is not wanting to compare yourself, and your data, in an effort to seek out someone else’s normal. You know what? 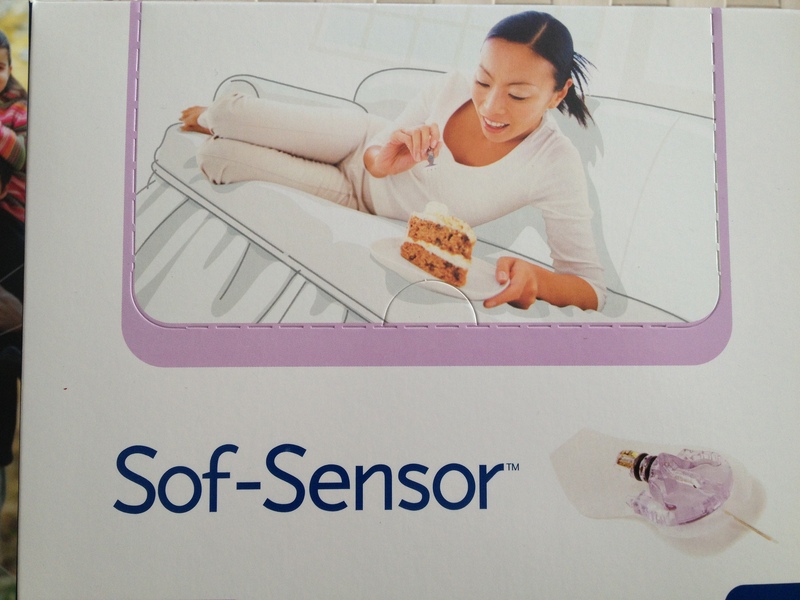 I never looked at the box of Sof-Sensors closely before. Holy what were they thinking, Batman?! And truth? 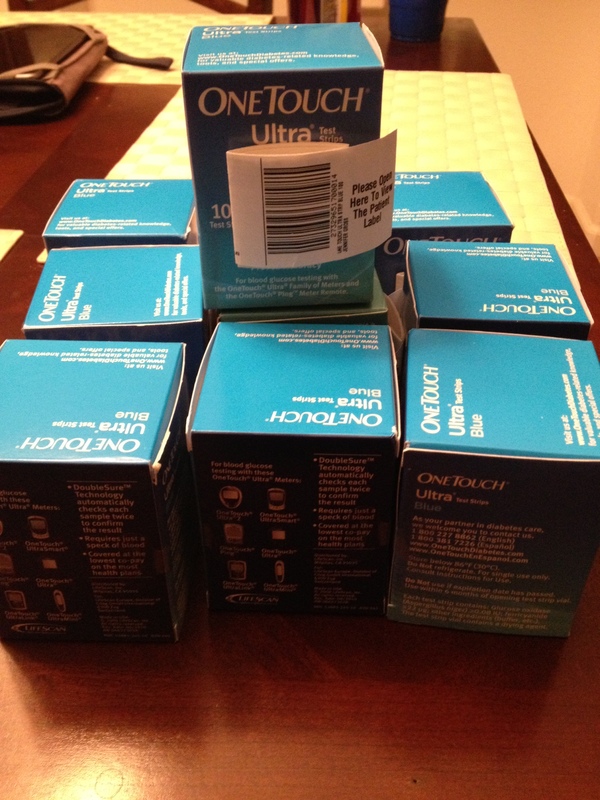 Medtronic’s sensors gave me more problems than solutions, which is why I gave up and lug around another piece of hardware. But I hear you… It’s hard trying to be “normal”. Hang in there! 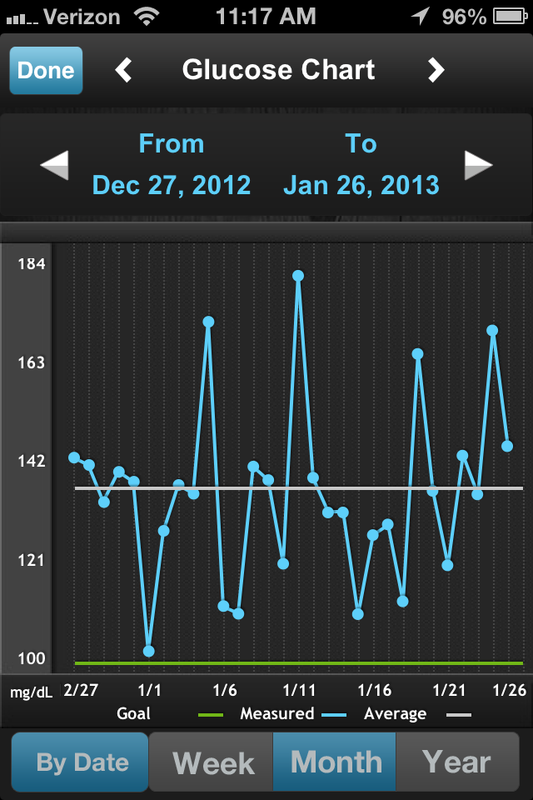 And for what it’s worth, your graphs look a lot like most other PWD’s I’ve seen (if not better). You’re not crazy. It’s diabetes.